This machine is used to close, expand or reduce the ends of light alloy tubes. 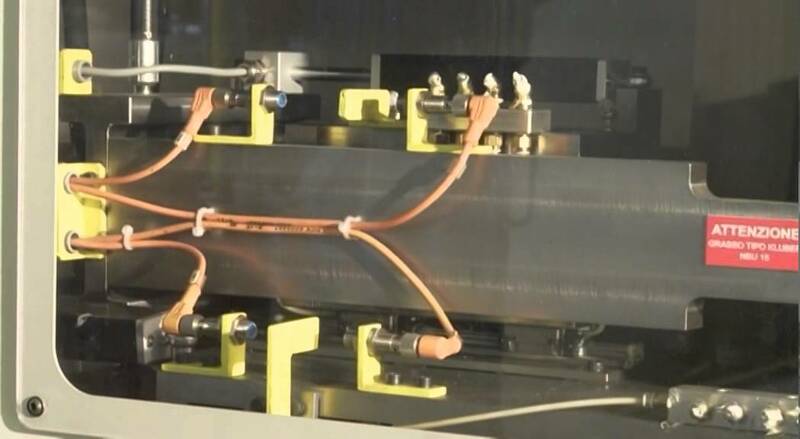 The end-forming operation is obtained by specially designed rotating tools, which heat the tube due to their rotation before deforming the extremeties. The exclusive “end-forming and closing” system is based on keeping the tube still and therefore allows to safety deform, with no limitation whatsoever, even already bent tubes, tubes with welded sleeves and of any length. The very short set-up time permits conveniency of machine use even if for very few pieces.